Washington (AFP) - The United States will launch a "massive military response" to threats from North Korea, Secretary of Defense Jim Mattis said Sunday. He spoke after President Donald Trump met with his national security advisers following a test of what Pyongyang said was a hydrogen bomb able to fit atop a missile. 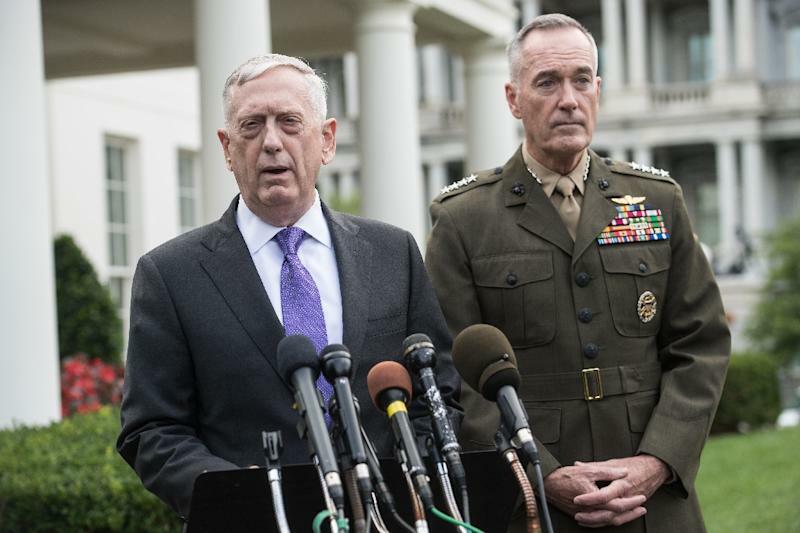 "Any threat to the United States or its territories, including Guam, or our allies will be met with a massive military response, a response both effective and overwhelming," Mattis said. He added: "Kim Jong-Un should take heed of the United Nations Security Council's unified voice. All members unanimously agreed on the threat North Korea poses and remain unanimous in their commitment to the denuclearization of the Korean Peninsula. His comments came after Trump warned the time for "appeasement" was over and threatened drastic economic sanctions. The unexpectedly powerful test Sunday was said to exceed in magnitude the atomic bombing of Hiroshima, Japan -- the resultant shock caused momentary panic in parts of China -- and Trump slammed it as "very hostile and dangerous to the United States."